Dance Mogul: What was it like to perform on VH1s Hip Hop Honors? Selasi Dogbatse: Performing at “Hip Hop honors 2017” was so much fun and it was exciting. I enjoyed the vibe of the people, the audience was on fire and I loved how they put the stage together, the set outside was amazing and it felt so great. 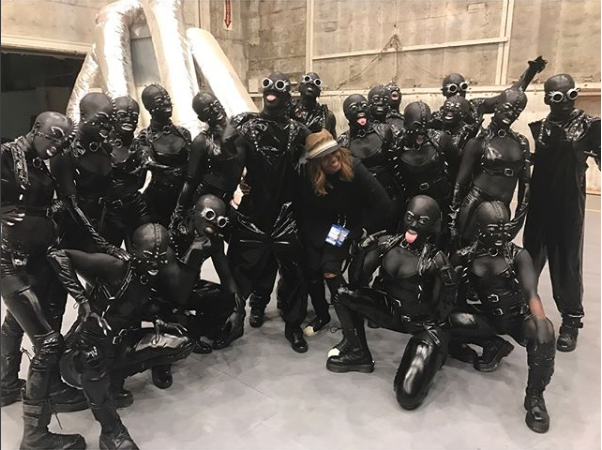 Dancing for Missy Elliott and recreating an old song/music video was an epic project that I will always remember, I used to watch her music videos back in the daydreaming to be part of it one day. She is the Queen of rap and knows a lot about dance in general so as a hip-hop dancer it was definitely a dream come true and an honor to be part of a magical moment. Dance Mogul: Why is it important that we continue to honor our past while moving forward into the future? Selasi Dogbatse: I think it’s important to value our past and know the culture to move forward. If you’re a young artist and want to be legendary you need to know who made history before you were even born. If you’re passionate about music or art in general, knowledge and experience should be part of your growth. Artist like Missy Elliott made history because her talent was on another level, she’s so passionate and committed to everything she has ever done, her music her videos and her performances always have been so creative , she is so special and has stood out because she is different and doesn’t care about what people think, she’s taking risk and that is one of the reasons why she is iconic. I think it’s important to be inspired by the greatest to be one of the best. Dance Mogul: What do you do to prepare for such an intense opportunity? Selasi Dogbatse: I think there’s no special way to be prepared it’s more about your hard work, your experience and your focus that makes you ready for big opportunities, of course, there’s a process behind rehearsals every day for a certain time etc, but I’ve been dancing for a long time so if it happened it was meant to be, that is how I see it. Dance Mogul: Are dancers being used more now? Selasi Dogbatse: I actually think that dancers were used more often back in the day, maybe because the music was more related to dance moves. I feel like performances and awards show were way bigger before an artist wanted to be a complete package and show everything they can do without any limits. I definitely think that nowadays artist doesn’t put the same type of work into performance in general, it’s less about dancing more about the look, the vibe or the style of the music than putting a big creative show together. Selasi Dogbatse: I would like to thank Hihat for hiring me on this amazing job, she is one of the best creative directors I know. Her work is quality and I’m beyond thankful to have been part of this epic performance. Sean Bankhead, a great Choreographer, and dancer, his energy and talent are incredible, and off course Missy Elliott for being THE artist that I always looked up to, she inspired me since I was a kid and to be able to be on her side showing the magic, the rawness, the hip-hop, the quality, the creativity the emotion and many more things to the world was completely unforgettable.